With one of the most admired fros on Insta, blogger Freddie Harrel tells Stylist all about her relationship with hair. The natural hair movement is going from strength to strength and big change is a foot as black women reclaim and redefine the black beauty industry. Progressive, insightful and undeniably cool, Parisian born Freddie Harrel had a chat with Stylist writer and curly girl Moya Lothian-Mclean about why hair is so meaningful to black women and why her hair extension brand Big Hair No Care was so needed. Moya: Why for you is hair so intrinsically linked to wellbeing for black women? Freddie: We’re forced from a very early age to start this close relationship with our hair; it’s different and much drier so it requires more attention. We use protective styles a lot because it’s more fragile which means there’s more creativity with hairstyles including braiding, weaves, wigs, clip-ins and crotchet. It’s a form of self-expression from a young age: an extension of the way we express ourselves and fit into a society where the beauty standards are not geared towards the way we look. M: And what’s your own personal hair journey been like? F: You see white girls and their long hair that blows in the wind; I wanted to do that but my hair just didn’t do that. Almost 10 years ago, I started to discover my afro and I really loved the curls, the cloud and the fluffiness. I wore it straight until I was 21 and I’ve always had insecurities around my face. I wanted to have a nose job and I felt like my face was too big. Wearing an afro, it felt like my face made sense, I found myself much more beautiful. Since the natural hair movement, we’ve had examples out there that our hair is nice the way it is, we don’t have to wear it straight. M: What would you say is the biggest misconception around black hair? F: That our hair is not as good or as beautiful. In the documentary Good Hair by Chris Rock, his daughter was only five when she asked, ‘How come I don’t have good hair?’ So even among black people the stigma is very strong. M: What was your aim when founding Big Hair No Care? F: When I stopped relaxing my hair I would use human hair extensions to make a bigger afro. Then I watched Good Hair and Whose Hair is it Anyway? by Jamelia as well. I really was saddened by the human hair trade. There’s no regulation and there are a lot of women who are victims of this trade; they’re attacked for their hair or donate their hair to the temple who profit. I wanted to stop using human hair but the synthetic hair that you find in afro hair shops is very bad quality - it’s flimsy, stinks of plastic and has this shiny coating that doesn’t look like hair. There’s no medium alternative. So I went back to my supplier and sent her photos of the texture I wanted and asked if she could do synthetic for me. Right now, it’s the perfect time for a brand to come in and fill that gap - that’s really what I’m trying to do with Big Hair No Care. M: Is there a big demand for the products? F: Black women spend, on average, six times more than white women on beauty. 99% of the brands making black hair extensions are Asian, they’re not black-owned. For years, black women would relax their hair and wear it straight so it was easy for Asian brands to create styles that women were going to wear. But since the natural hair movement, these brands are finding it hard to catch up because they just don’t know what our hair looks like. M: You’ve had physical pop-ups in the past - would you want to create a space for black women in the UK? F: I would really love to do that. The first one we did was a pop-up in London, Paris, and New York. We had events with speakers on different topics like afro-entrepreneurship, confidence and self-love. We tried to have this whole holistic experience that highlights other black hair care brands that are owned and founded by black women. We want to make sure more black people make money from the black hair industry. M: For a long time, it has been seen that black beauty has got to be this big expensive process. Do you think now that we’re starting to realise that we don’t need to put in that level of extra because we’re good as we are? F: Exactly! But it’s also in the product offering. For so long the market has been really poorly catered for so we had to come up with our own techniques: black hair styling is very much DIY. If you look at the YouTube tutorials it’s all about how to do this, how to do that on your own hair, how to install your hair yourself, how to create your own concoctions etc. I felt like a fraud because I’m so bad with hair and then I thought, I’m the best person to do this because I’m so clueless that I’m going to make hair that is actually easy. Black women have created easier products for us and that’s definitely going to affect the behaviour that we have around hair in the long term. I think we’re definitely at a changing point. F: I love the big full-on afro. My second go-to style is a high and big head wrap. I think it’s just so beautiful and brings your facial features out . Plus it’s a good way to bring another colourful scarf in your outfit. And my third favourite style is straighter but kind of still permed and curled like in a short bob - more glam but still it looks natural. F: For detangling, I recently discovered Dizziak and I love it, the deep conditioner is amazing, that’s really good to detangle your hair. 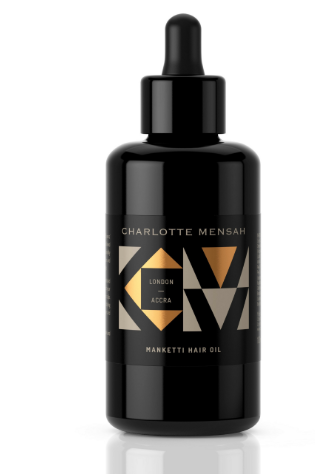 When it comes to hydrating, I really love the Charlotte Mensah Manketti oil. 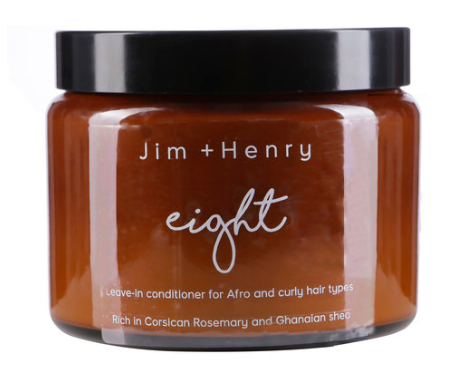 For styling, I’ll still use oil, but Jim + Henry do a good leave-in conditioner that you can use to style. Freddie has teamed up with Huawei as part of their New Working Order initiative and is giving away one of three £10,000 bursaries to help young creative talent make their passion projects, start-ups and side-hustles a success. For your chance to win a £10,000 creative bursary or Huawei Mate 20 Pro from Freddie visit www.huaweinewworkingorder.co.uk by 10 December 2018.